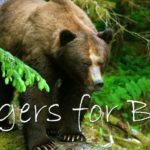 THANK YOU for your interest in connecting with Northwest Wildlife Preservation Society. Knowledge is power. This is why our mandate is “preservation through education.” We believe that teaching people about the incredible natural world is the key to shifting attitudes by increasing understanding of our responsibility to protect and preserve wildlife and wildlife habitat. Make a commitment to yourself and your planet to better understand this world in which all life are a part of.